Have you heard about SAVs? No, well we are here to help you. When it comes to SAVs or Special Application Vehicles, there is only one solution – thesolution that suits your requirements the best. Since the past many years, special application vans manufacturers have been involved in designing and manufacturing SAVs to suit your requirements. The knowledge and expertise of JCBL professionals excel in whatever they do and thus put in their efforts to exceed expectations. With its own R&D base, JCBL offers augmented solutions to ensure smooth operation of the vehicles. 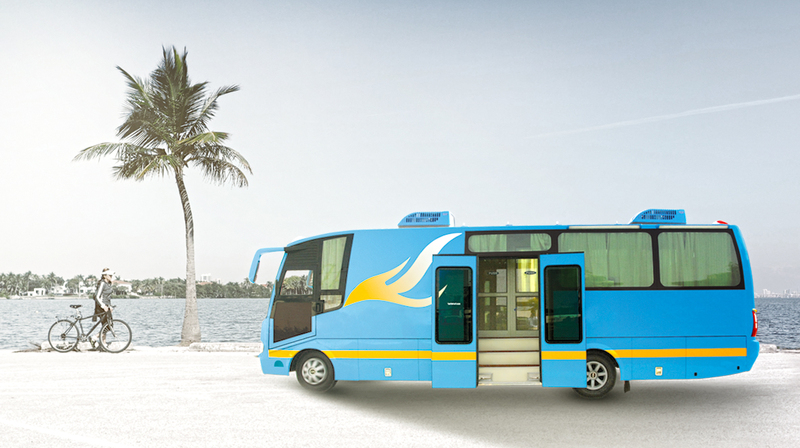 An election bus or a campaign bus is a perfect blend of utility, security, and luxury. The buses are loaded with state-of-the-art features and are often the center of operation in a political campaign. These buses are also used to transport members of the press that are covering the campaign of a political candidate. In India, there are few companies known as the best election campaign vans manufacturer. The use of the election bus dates back to 1940s when they were used by presidential contenders to travel through different states. Before the manufacturing of the election bus, reporters used to travel in a separate car which left them with very little time to interact with the leaders, however, with the advent of the election buses, reporters could easily travel with the leader. Political leaders often use the election buses to travel to different destinations where air travel is not possible or required. Party leaders often buy the election buses and decorate them with their party name to increase awareness about their group. With the demonetization drive at its peak, it became difficult to withdraw money from ATMs. This was when various banks identified the opportunity of a Mobile ATM van. The demonetization measures were set up by Prime Minister Narendra Modi to scrap INR 500 and 1000 currency notes from the country’s economy. Thousands of Indians lined up bank ATMs to withdraw new currency notes. So in this time of cash crunch, some bus manufacturers along with the leading banks in the country banked on the opportunity to design mobile ATM vehicles. Various banks including Canara Bank, The State Bank of India and Punjab National Bank set up mobile ATMs near hospitals, markets, and old age homes. 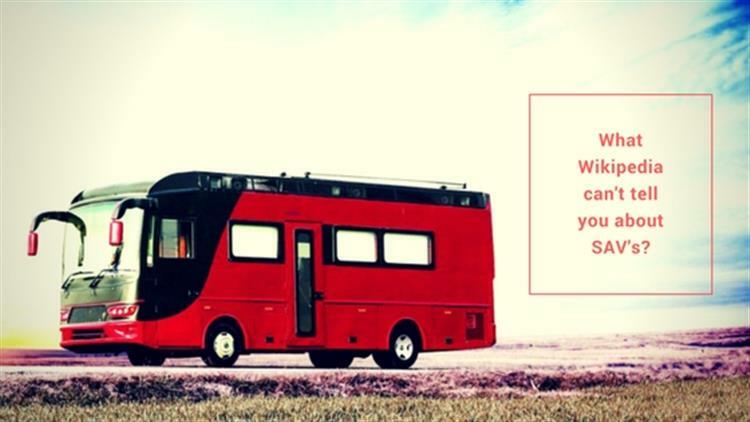 Interesting: Why BharatBenz sleeper coach is JCBL's one of the best bus? These ATM vehicles have been set up to cope with the rush to access the new currency after a ban was implemented on INR 500 and 1000 currency notes. Being mobile, these vehicles are set up at different locations across the city thus helping people withdraw cash for their everyday needs. Moreover, these ATM vans have also been set up in rural areas where people don’t have access to ATMs. With the success of these ATM vehicles, more and more companies are coming up to help people deal with the situation with ease. Outdoor Broadcasting vans or OB vans are designed and manufactured by one of the best display vans manufacturer in India. These vans are equipped with professional video cameras and microphone which helps in processing, recording and transmitting the signals. Television Crew – This is the first and often the largest part of the van. It is the place where the television director, assistant director, technical director and other television crew generally sits. This section has a video monitor that shows all the video feeds including feeds from video cameras, professional cameras, video tape recorder and more. Audio Crew – The next section of the van is occupied by the audio crew. The audio engineer has control over the channels and generally follows the instructions given by the director. The audio engineer also has a dirty feed monitor which helps in synchronization of the video and sound. VTR Area – Next is the VTA area which has a collection of machines along with computer equipment. The tape area is operated by LSM operators who use the cameras to pay back for replays to check when something important occurs. These operators can also play back in slow motion. Video Control Area – In the fourth part of the OB vehicles, professional cameras are installed which are controlled using camera control units by the professionals. The operators shade, balance and focus the camera from this position. Transmission – This is the last part of the OB vehicle which is used to monitor the signal and engineered for quality control purpose. The transmission is monitored by engineers who ensure that people at home receive high-quality signal output. The KNOW vehicles are mobile training platforms which can change your training experience. These vehicles are used by corporate and academics to provide practical training to employees, students, and staff. The KNOW vehicles are designed by special application vans manufacturer who makes sure that they meet the diverse training requirements. By opting for the KNOW vehicle, companies eliminate the need of having a physical space to conduct a training program. The KNOW vehicle provides an innovative mobile training solution. Moreover, it provides you with the freedom to learn anywhere and at any time. It simplifies the process of training and serves the purpose of companies who lack facilities to conduct different training sessions. KNOW vehicles help save time and money. They provide one-of-a-kind experience as they are specifically designed for training purposes. Being a mobile training program, it helps you save money. It makes it easy to bring training resources together on a mobile platform. These were some of the most commonly known Special Application Vehicles. We hope you enjoyed learning more about Savs. So what do you think about these vehicles? Are they worth investing your money in or should you rent them? We would like to hear your views about them.